SAN FRANCISCO -- Hours after Uber began offering people in San Francisco rides in self-driving cars Wednesday, California regulators told the ride-hailing company to stop and said it could face legal action if it does not get a state permit. Uber started a public pilot program in the morning, and by midafternoon, the California Department of Motor Vehicles sent the company a letter saying the service was illegal until it got a permit required for putting autonomous vehicles on public roads. Uber knew about the requirement but argued that its cars do not meet the state’s definition of an “autonomous vehicle” because it requires a person behind the wheel to monitor and intervene if needed. Making the distinction on the definition of an autonomous vehicle is in line with Uber’s history of testing legal boundaries. Although the company has been around less than a decade, it has argued with authorities in California and around the world about how much of its drivers’ histories should be covered in background checks and whether those drivers should be treated as contractors ineligible for employee benefits. “If Uber does not confirm immediately that it will stop its launch and seek a testing permit, DMV will initiate legal action,” DMV Chief Counsel Brian Soublet wrote. He did not specify what that might entail but referenced the possibility of taking Uber to court. Uber did not immediately respond to a request for comment, so it was unclear if it stopped the service. It deployed a “handful” of Volvo luxury SUVs -- the company wouldn’t release an exact number -- that have been tricked out with sensors so they can steer, accelerate and brake, and even decide to change lanes. Uber’s self-driving cars are available in only one other U.S. city -- Pittsburgh. After 18 months of testing, the company launched a small fleet of autonomous vehicles in September in the city, CNET reported. 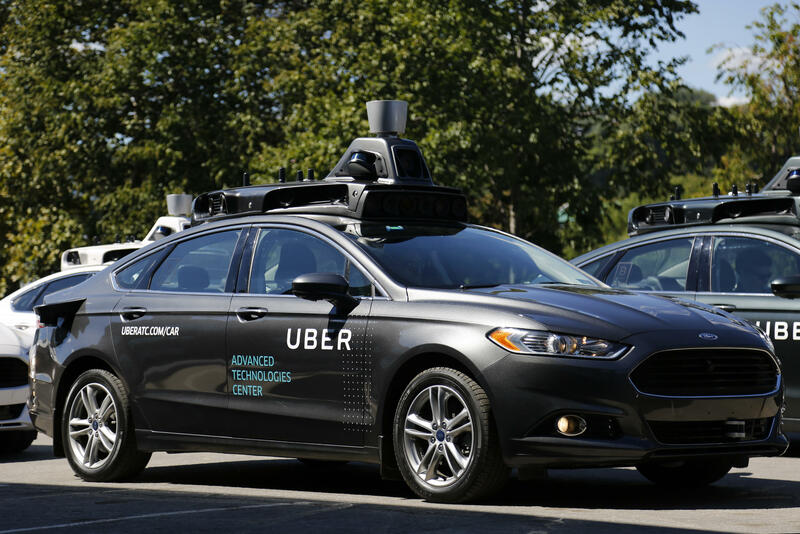 Now when riders hail an Uber there, they have a chance of being picked up in a self-driving car that’s accompanied by a “safety driver.” Uber said it plans to have 100 self-driving cars in Pittsburgh by the end of the year. Last week, Uber said it acquired New York-based artificial intelligence lab Geometric Intelligence and will soon launch its own Uber AI Labs. Geometric Intelligence’s engineers reportedly specialize in machine learning and will help propel Uber’s research in self-driving cars, CNET reported. California’s DMV has issued permits to 20 companies for tests of autonomous vehicles on public roads, mostly traditional automakers and tech companies. Getting a permit for prototype testing is part of legal language negotiated between the state and industry, and DMV lawyer Soublet argued in an interview that the process helps maintain public confidence that the technology is safe. According to Anthony Levandowski, the leader of Uber’s self-driving program, Uber’s cars simply aren’t advanced enough to drive themselves without human monitoring. “We’re just not capable of doing that yet,” he said. Therefore, the Volvos are not autonomous and do not require a permit, he said. To receive a permit, a company must show proof of insurance, pay a $150 fee and agree that a human driver can take control of the vehicle. The congested streets of San Francisco offer a big challenge: famously steep hills, frequent fog, street and cable cars, an active bicycle culture, and roads that are constantly being repaved or remarked. Uber believes its technology is ready to handle all this safely, though its executives concede a human driver is needed to take control in dicey situations. Uber’s fleet of Volvo XC90s aren’t the first self-driving cars on San Francisco streets - several other companies visit regularly with test prototypes, though none offers public rides.